Superb Straggle fritz with UV dyed in Funky's unique colours. 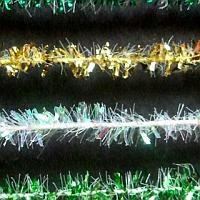 The 5mm Crystal hackle is made in the UK and dyed in a range of colours exclusive to Funky Fly Tying. Perfect for mini lures and boobies as well as larger nymphs. Funky's colours are the best in the market with deep, strong, consistent colours. This is the Original Micro Straggle with UV and Gold filaments. People have tried to copy it but never quite got it right. 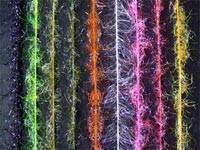 Funky Fly Tying have gone direct to the source and had it dyed up in some superb colours with loads more colours to come. This is the Original Micro Straggle with UV and Silver filaments. This is the latest 16mm core bonded blob fritz. This means that the herl on the fritz is much harded to pull out and the core is thinner and dyed the same colour as the herl. The core aso has a slight strech to it to make tying in easier. 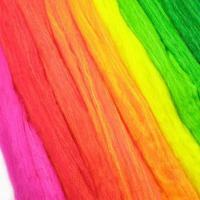 This is the ULTIMATE fritz for blobs and has been dyed the best and brightest colours available. The easy, inexpensive way to produce a fly body. 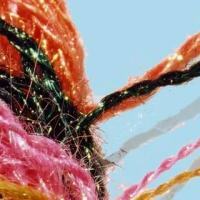 The 2.5mm dense pile of rayon fibres combines movement with a solid profile. 2.5 metres length. 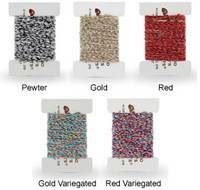 A nylon version with a 2mm dense, electro-statically formed pile producing a narrower more even body. Does not fray. 2.5 metres length. 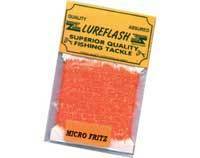 4mm fibres of reflective polyester creating irresistible flash and movement in the water. Easy to use. 2.5 metres length. 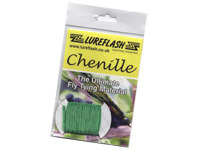 A narrow version of Chenille Flash for small flies. 2.5 metres length. 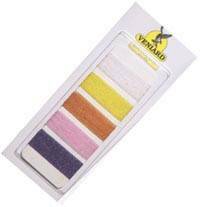 A crimped, metallised polyester providing the magical flash for tails and wings of many fly patterns. Often the addition of just a few strands will transform a mundane fly into a deadly pattern. 18cms hank length. 1.4 metre packet. 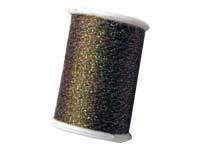 A crimped, metallised polyester providing the magical flash for tails and wings of many fly patterns. Often the addition of just a few strands will transform a mundane fly into a deadly pattern. 18cms hank length. 1.8 metre packet. A 1.5mm dia. flash braid with random 10mm long flash fibres. Overall diameter 20mm. 2 metre length. 30mm long fibres. 2 metres long. 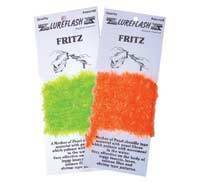 A sensational version of Straggle Fritz with long mobile UV fibres to excite predatory fish. 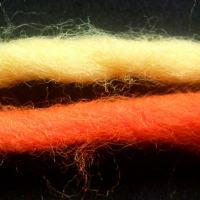 15mm long fibres. 2 metres long. A full-bodied Fritz which is proving deadly as the essential ingredient for Kennick Killers. 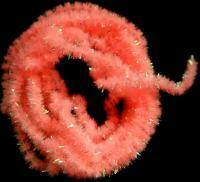 A densely fibred form of Chenille Flash. 11mm wide. 1 m Length. 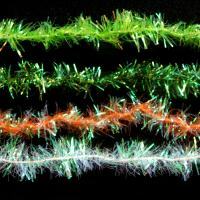 Bright,Fluorescent fibres which may be spun to form Glo Bugs or Eggs. 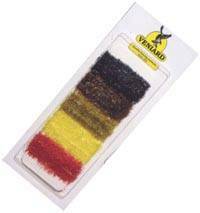 Alternatively fibres can be used to form tails or tags on larger flies. 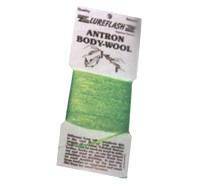 A spun yarn of fine Flashabou dubbing which is easily and quickly used to produce very attractive bodies. 1.7 metre length. 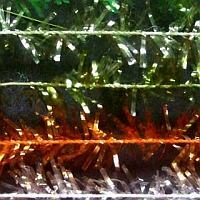 A fine but tough, braided flash material - 2mm wide. Easily used to form bodies on Lures, Streamers and Salmon flies. 1.5 metres length. May be used on bodies or tails. 4 metres length. A 0.9mm hollow plastic tube which can be wound to form a semi-flat, segmented body or may have tinsel, wire or other material threaded into it to form a half-round, translucent, segmented body. 1.5 metre length. A 0.6mm diameter hollow plastic tube which may be wound to form a semi-flat, segmented body or may have tinsel, wire or other materials threaded into it to form a half-round, translucent, segmented body. 1.5 metre length. 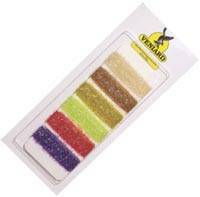 Perfect for many fly tying applications and available in a a variety of useful colours. 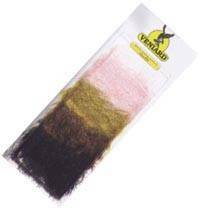 This long-fibred mohair is well established as an alternative to dubbing on leech and tadpole patterns. Brand new phosphorescent 'glow in the dark' synthetic fibre, superb as an addition to klinkhammer style wing posts. Available in white only. 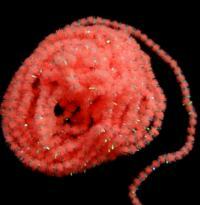 Extremely fine 0.8mm diameter spooled pearl cactus chenille. 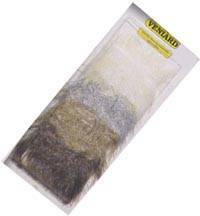 Great for hot spots, thoraxs and bodies on small flies. In Pearl - Orange - Red - Chartreuse - Olive. 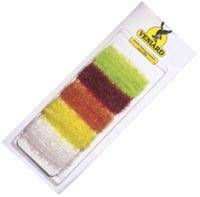 Made from flashabou type fibres this is a must have product for modern flies. Available in 5 sizes. 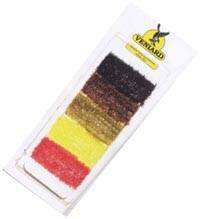 Translucent fritz chenille in 5 colours: Red - Yellow - Olive - Brown - Black. 5 different subtle blends of Holographic, UV and pearl fritz type fibres. 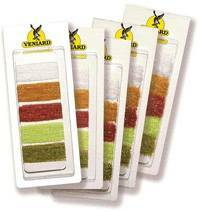 4 different blends suitable for saltwaer and pike flies. 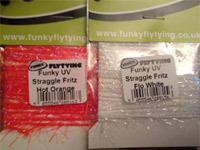 Translucent Straggle Fritz made from chenille with 3cm long straggly fibres. 4 colours: Pink - Olive - Brown - Black. 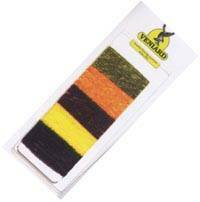 Standard 15mm, chenille fritz for tying the 'Blob'. Just when you thought it couldn't get any finer! Here is our "ultra micro" fritz. Only 3mm in diameter. Fine "micro" version of our standard Fritz on only 5mm diameter, produced due to demand, excellent for use on nymphs and mini lures. Sporadic Fritz is a great product for buzzers and soft lures, soft and subtle fibres making it move great in water, attracting fish from the depths. A Mother of Pearl material with Pearl Fibres which pulsate with movement in the water. 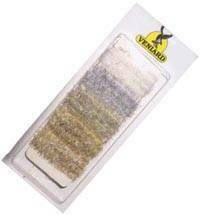 Very effective on the body of Insects, Lures, Salmon Flies and Shrimp type patterns. 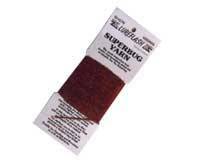 The buzzer wrap is soft and supple, great for buzzers and nymph bodies. 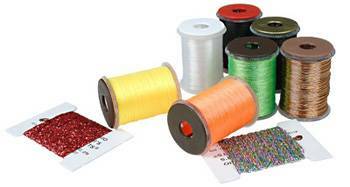 Very small diameter tubing designed for wrapping bodies and supplied with 4 metres of thread per spool. Very popular. The most imitative insect representing pre-dubbed material available for fly dressing. It is Polypropylene based with a lighter surface colour for fly dressing. It aids buoyancy on dry flies and yet does not prevent wet flies or nymphs from sinking. The surface can be left in its natural state or brushed up to provide a dubbed type finish. To give an idea of colours the tups is an ideal blend of various shades to provide the traditional effect of the tups colour. Due to the special composition of this yarn it has both flash glints along with a matt effect subtle buzzer colouring, 50m per spool. Different from other products this is the 'Real McCoy' with parallel strands of genuine Trilobal Antron Yarn. 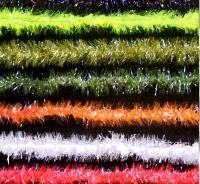 It can be used as wool in tails, bodies, backs etc., or can be teased out and used as Antron Seals Fur Substitute for dubbing. 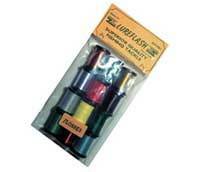 It can also be used doubled up for lures and large bodies or separated and used like floss for small buzzers.